Performing as part of the 2019 Roaring 20′s Festival in Medlow Bath. 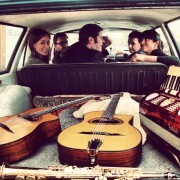 We are excited to be appearing at this year’s Manly Jazz festival on September 30. 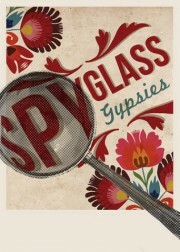 John Speight Stage, 12:30 pm. ‘Voyages’ brings together a collection of new and all-original works with influences from European and South American regions. 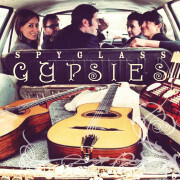 With over 7 years of experience performing together, Spyglass Gypsies have crafted a new album that conveys sensitivity and nuance, innovation and vitality. 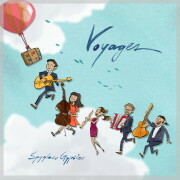 Featuring contributions from every group member, ‘Voyages’ captures the very unique sound and approach that Spyglass Gypsies bring to their music. 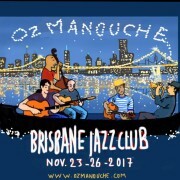 We will be launching our second album at this year’s Oz Manouche festival at the Brisbane Jazz Club on Saturday November 25. Sydney Rd Stage, 4:30 pm. Performing at ‘Wests’ New Lambton as part of the 2017 Newcastle Jazz Festival. Our debut performance at Hotel Blue in Katoomba on Saturday August 27, 7:00 – 9:00 pm.